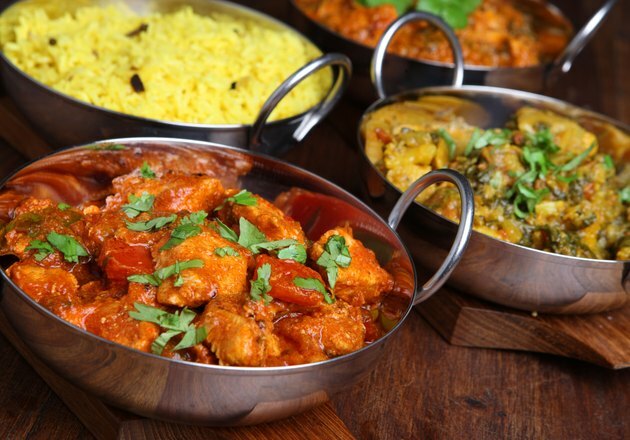 Marked by its use of spices such as turmeric, coriander and ginger, Indian cuisine can be sweet or spicy and rich or light, depending on your preferences. 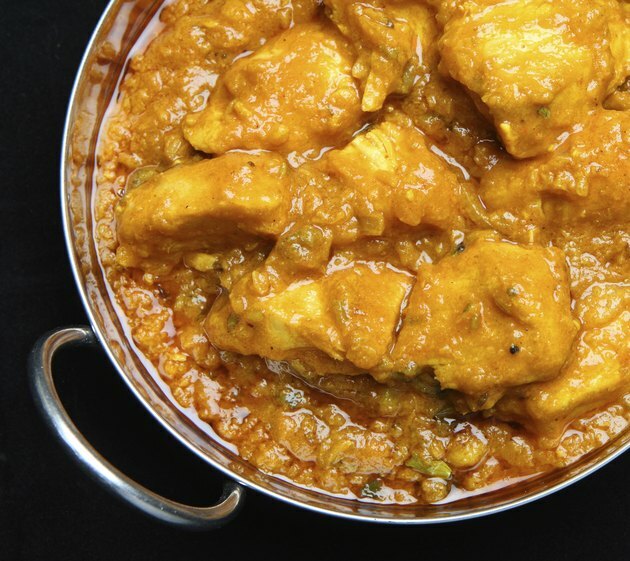 Like other ethnic cuisines, Indian food can be heavy on the calories if you don’t order wisely. Learn more about the basics of this cuisine to pick an Indian restaurant dish that won’t destroy your diet. 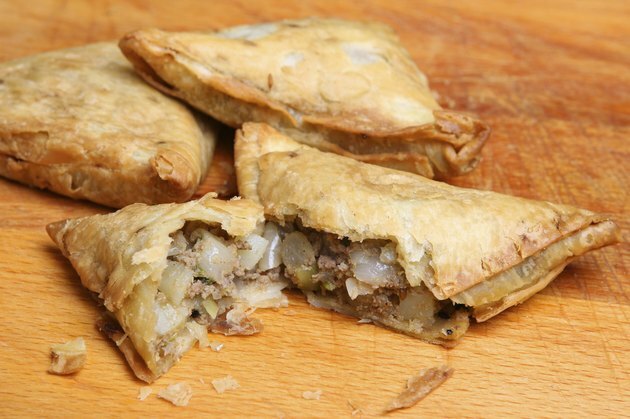 From deep-fried samosas to rich paneer, many Indian appetizers are high in fat and carbohydrates. To save your appetite -- and the calories -- for the meal ahead, skip these unhealthy appetizers. If you must get a starter, stick with a light lentil soup. Eating healthy isn’t all about fat and calories but also maximizing nutrients. Turmeric, which provides the yellow coloring of many Indian dishes, might have anti-cancer, anti-inflammatory and antioxidant effects, according to the National Center of Complementary and Alternative Health Medicine. More research is needed to confirm these effects, however. 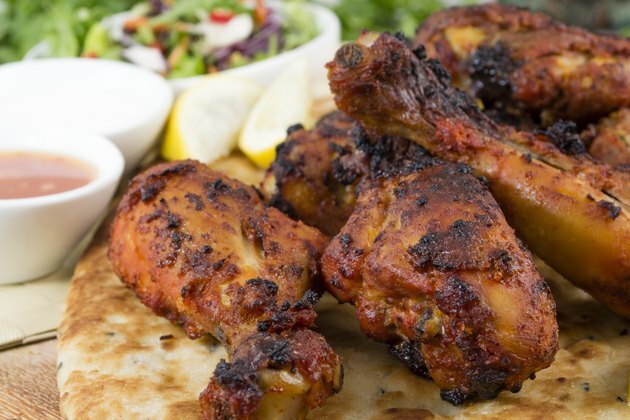 Tandoori items are made in a traditional clay oven called a tandoor. 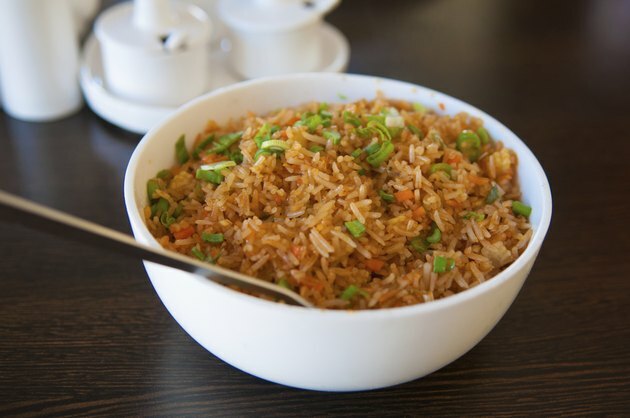 Because of the method of cooking, the dishes tend to be lean. 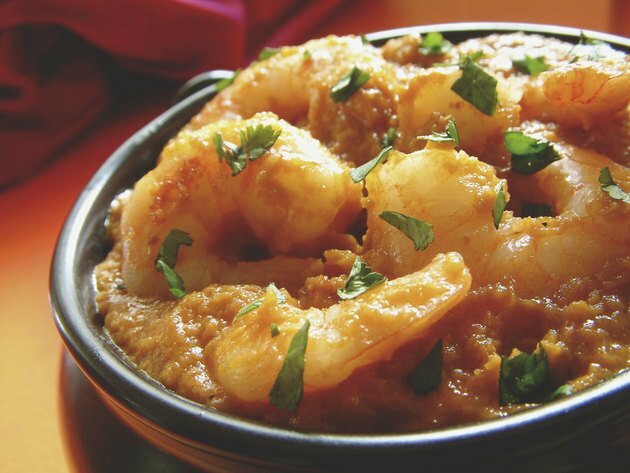 Look for tandoori chicken or shrimp for a low-calorie, low-fat entree. 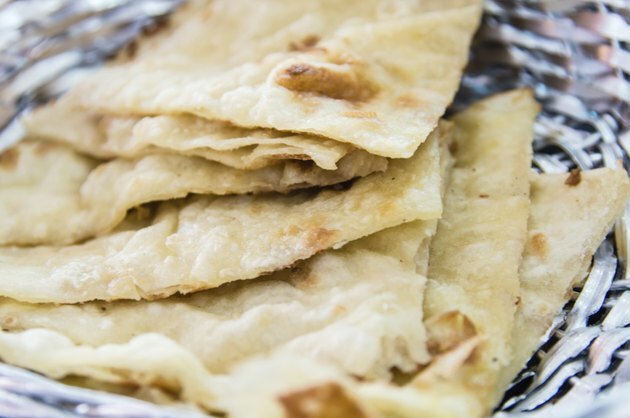 An Indian meal might seem incomplete without naan, but it’s also a source of empty calories. Instead, order a side of roti, a whole-wheat bread, if you feel that you must have a side of bread at all. 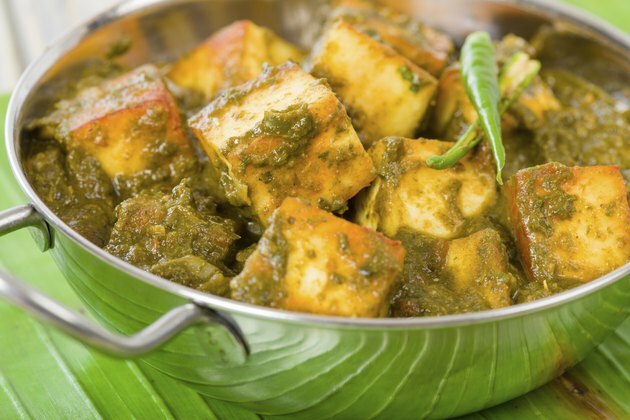 If a menu descriptor uses the words "paneer," "ghee" or "malai," stay far away. Paneers are high-fat cheese, while ghee is clarified butter and malai is cream. None of them is a healthy option for your Indian meal. If a dish is just too spicy for you, it's tempting to cool your mouth down with a high-calorie beverage. 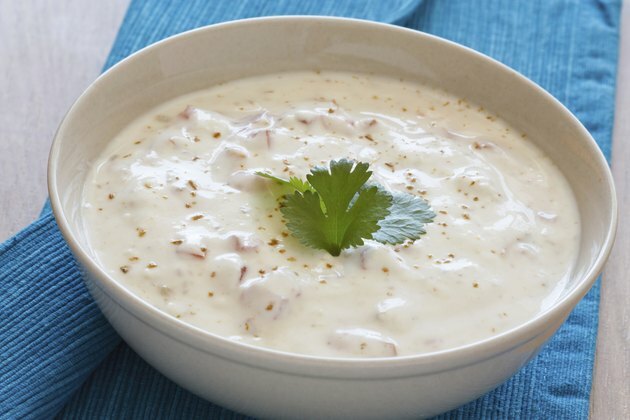 A healthier way to neutralize the spice, however, is to ask for a spoonful of low-fat yogurt and stir it into the offending dish. 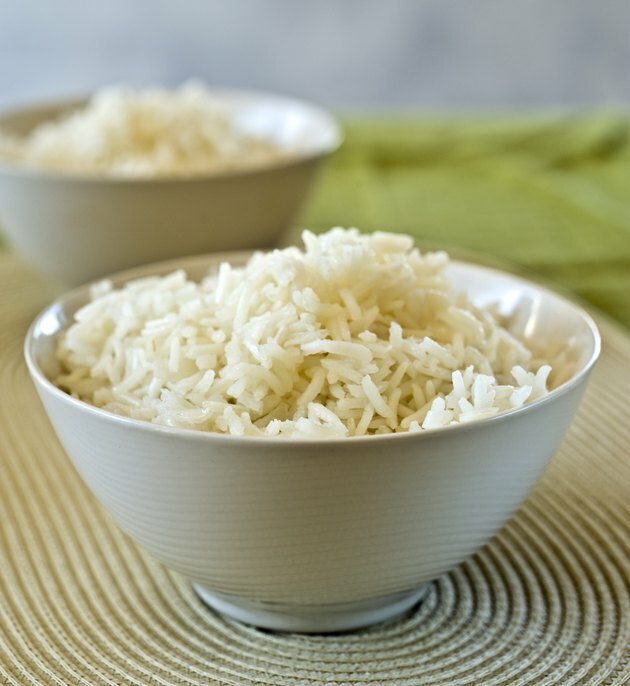 Each cup of basmati rice contains more than 200 calories, making it easy to pile on the calories without even realizing it. Stick to one serving to leave space for more of the main dish. If you're not interested in the vegetarian options, Indian menus offer a wide array of meat-based dishes. Though you're less likely to see beef on an Indian menu, there are typically plenty of lamb options. The American Heart Association recommends picking a chicken or seafood dish, however. Servers at ethnic restaurants are used to diners being unfamiliar with the cuisine, so they're available to answer questions for you. If you don't know what a word means, ask before ordering or risk ending up with a high-calorie, high-fat entree.